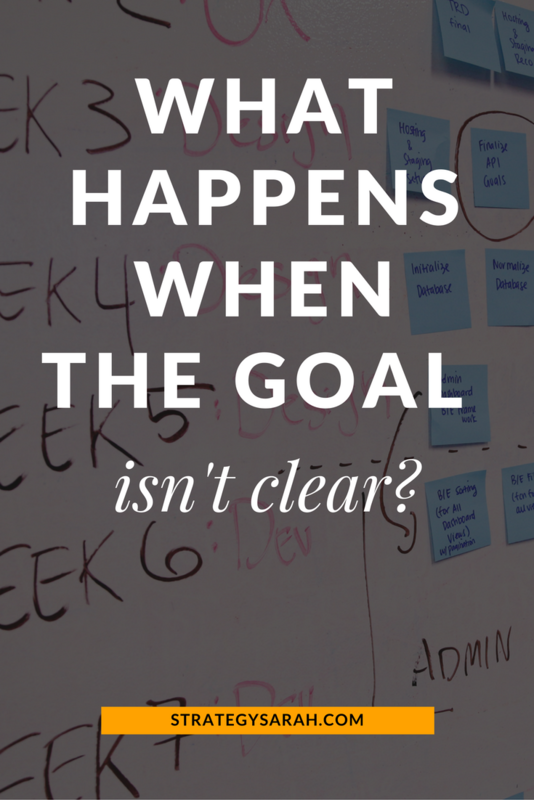 What happens when the goal isn’t clear? Yesterday, we discussed the stages of a project and key questions and actions in each phase. Critical to the entire process is having a clear goal and then executing against that goal. Ultimately, what’s the problem you are trying to solve? The stages of a project assume that the goal of the project is clear (or is clarified in the initial Plan the Project phase). A clearly defined goal and objective cascades down to every other piece of the project and the work. 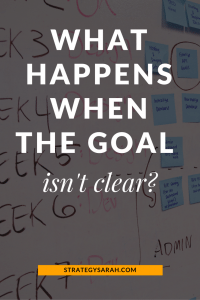 What if the goal isn’t clear? Or it’s clear, but you’re not sure it’s the right goal? One of the first large-scale projects I worked on many years ago was the rollout of a new software system. For many reasons, the project was doomed to failure before it ever got off the ground. But there was a leadership mandate that it must happen. By implementing a whole lot of project management techniques, we completed and rolled out the project. And after a few sincere attempts to make it work, it eventually faded into oblivion. The goal was clear, but it was the wrong one. It would have been more cost effective and ultimately more beneficial to the business if the project had been abandoned long before completion. Is the #goal you’ve identified the right one? In my own life, I’ve found that “identify the goal” often isn’t nearly as clear as it’s made out to be. 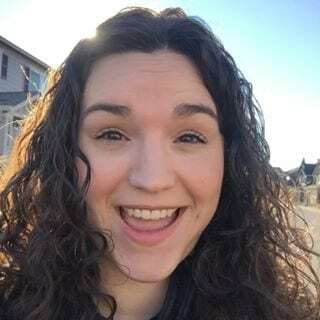 I can easily take a goal, and break it down to identify objectives, strategies and tactics, but often find that I didn’t really care about the goal that much in the first place. Some of these goals I have pursued far longer than I should have, simply because I set the goal, and well, that means you have to complete it. 99.9% of the time, you don’t. If you’re unsure of your goal, or if it becomes apparent that the goal shouldn’t be the goal any longer, don’t drag out the pain. Then identify a new goal, and start again. Have you ever identified the wrong goal? How and when did you course correct? For more reading on goal setting, check out On goal-setting and habit formation. And don’t forget to read the rest of the series, Project Management for Creatives. This is helpful Sarah – I love coming up with efficient ways to do things. Any thing and every thing! I remember learning about Kaizen manufacturing years ago and I put it into practice even here in our home! Great topic. I need this reminder to really think about what my goal is and then focus on that! I also like the idea of “fail fast” Sounds funny, but it’s necessary to be move on.